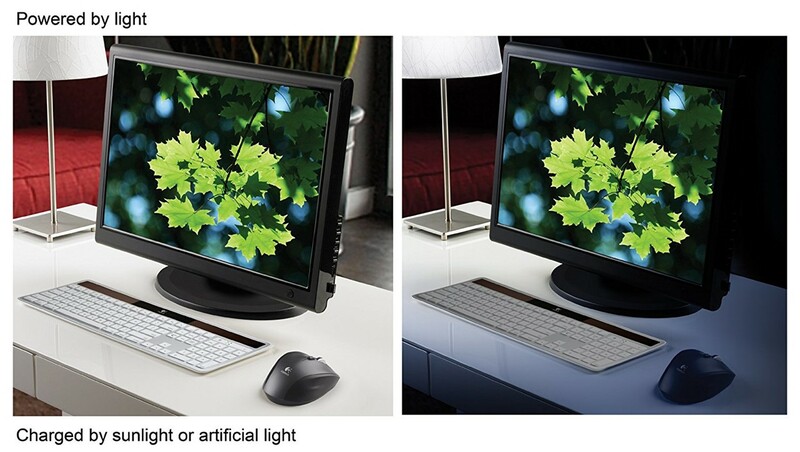 Thin; wireless keyboard is powered by any light - low light and lamp light; indoors and outdoors - so no battery hassles. 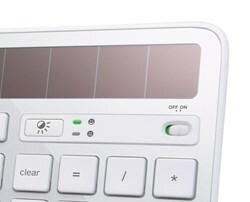 Fully charged; the Solar Keyboard K750 works for at least three months - even in total darkness. 1/3 thick keyboard is the perfect match for your Mac with a familiar layout and all the keys you expect; including Command; Brightness and Eject. 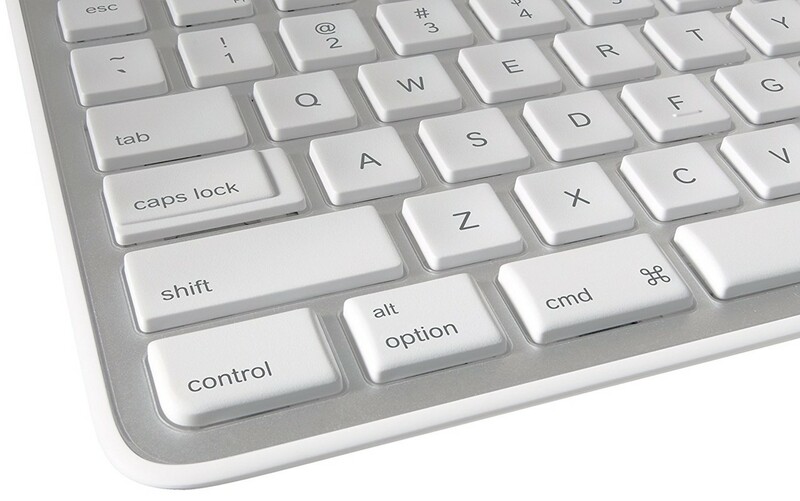 For more comfortable typing; the unique; concave key design delivers fast; quiet typing. 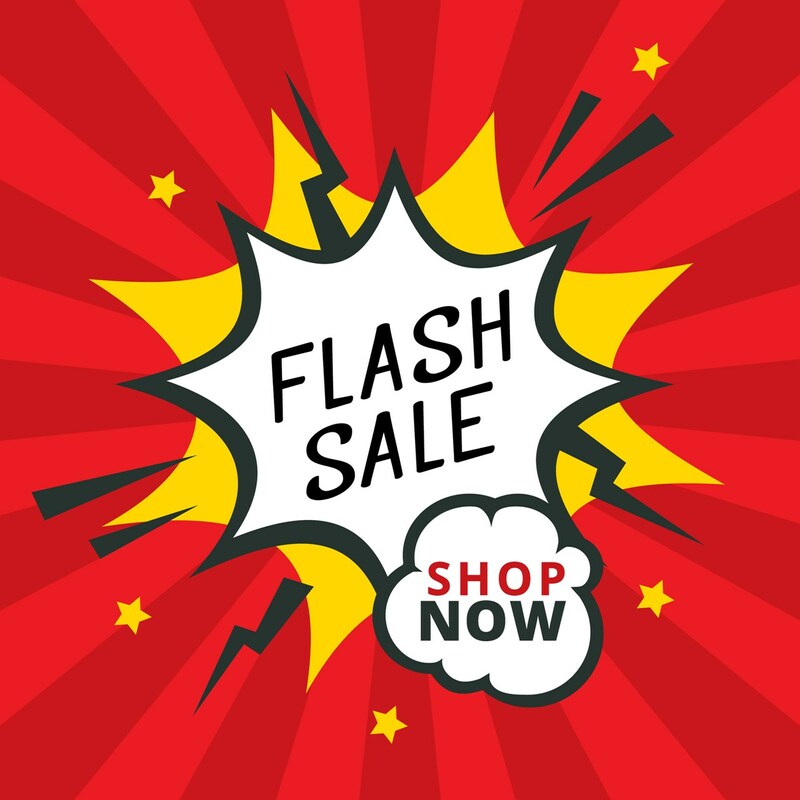 Advanced 2.4 GHz wireless technology offers a long-range wireless connection that virtually eliminates delays; dropouts and interference. Included; tiny; unifying receiver stays in your laptop; and you can easily add a compatible wireless mouse or number pad without the hassle of multiple USB receivers. 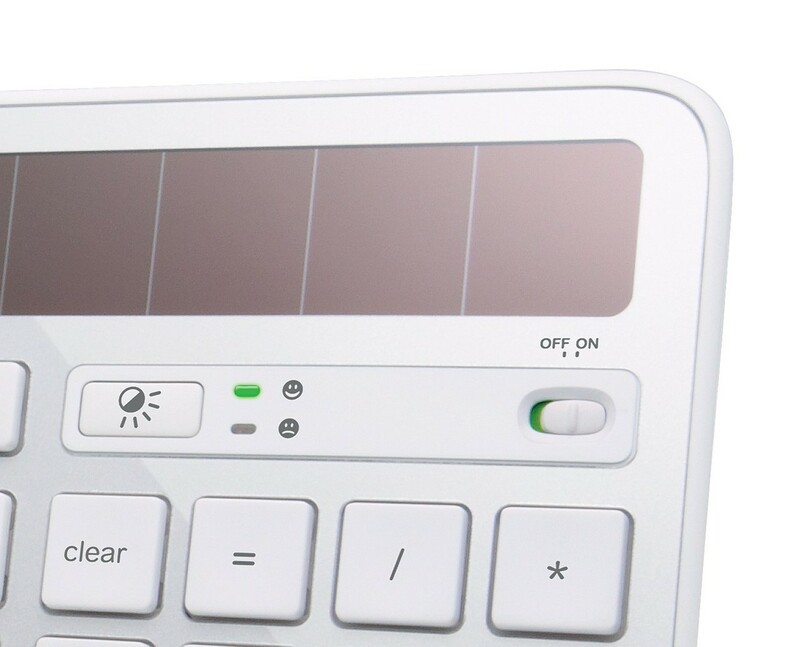 With plug-and-play simplicity; plug the wireless receiver into a USB port and start using your keyboard right away. The K760 is also designed to reduce its environmental footprint with a fully recyclable box. 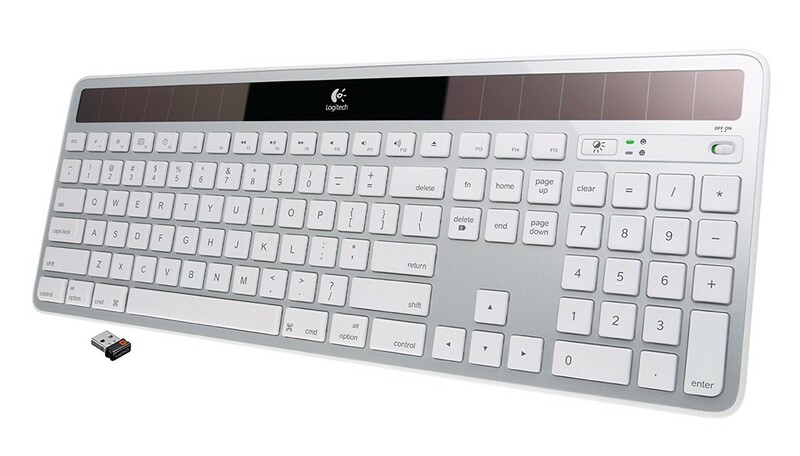 Keyboard/Keypad Connectivity Technology: Wireless Keyboard/Keypad Wireless Technology: RF Hot Keys: Multimedia; Eject; Brightness Keyboard/Keypad Host Interface: USB Color: Silver Keyboard/Keypad Height: 1.40 Keyboard/Keypad Width: 19.10 Keyboard/Keypad Depth: 7.90 Package Contents: K750 Keyboard;Logitech Unifying Receiver;Wireless Extender; Platform Supported: Mac Device Supported: Computer Post-consumer-waste%: 0% Assembly Required: No Green Compliant: Yes Green Compliance Certificate/Authority: RoHS; WEEE Country of Origin: China Limited Warranty: 3 Year. Genuine Imported Products from USA. 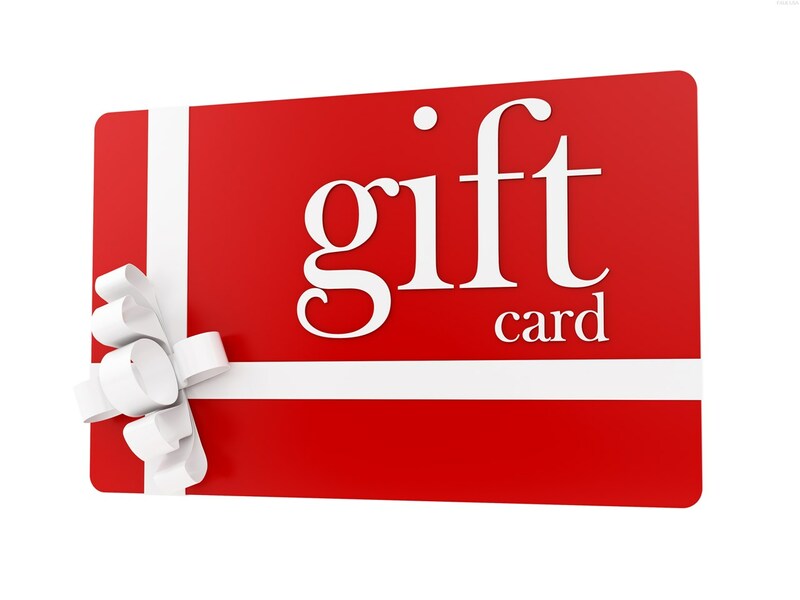 Prices include Import Custom Duties and Taxes. Battery Details 1 CR2 batteries required.